You may have seen Samantha Armytage on TV before. She is the co-host of the Sunrise programme which airs at 6am every weekday on Channel Seven. Samantha talks to HealthEngine about how she keeps healthy given her very early start every day. Sleep is my number one priority. I try to get 8 hours every night, which means I go to bed about 7.30pm! I do some form of exercise every day. I get acupuncture if I’m feeling particularly stressed or overwhelmed. I do a bit of yoga – and I’m trying to learn to mediate. I make sure I have time out – a lunch or something – with friends each week. And a weekend at my parent’s property near Wagga does amazing things for my well-being. I try to only eat wholefoods, and eat organic if I can manage it. I don’t drink coffee, just herbal teas. I try to avoid alcohol during the week. I usually do an Xtend Barre class a couple of times a week – or go to the gym. Or if I’m really pressed for time I just put on my i-pod and go for a walk outside. I swim in the ocean regularly – & this summer I’m going to try to do some stand up paddle boarding. I play golf and tennis – and in the winter I snow ski. My grandfather suffered from bipolar – and dad is a big supporter of a group called ‘Riverina Bluebell’ – which is an organisation helping farmers and country people with depression. Although I’m ok – I’m aware of myself and make sure if I’m ever feeling a little blue or overwhelmed – I take time out and be kind to myself. 4. How often do you go to the Doctor and Dentist for a check-up? I only go to the doctor when I have to – which is not very often, thank goodness! And I NEVER go the dentist…. I’m naughty but my teeth are ok as, after 3 years of braces as a teenager – I take really good care of them! 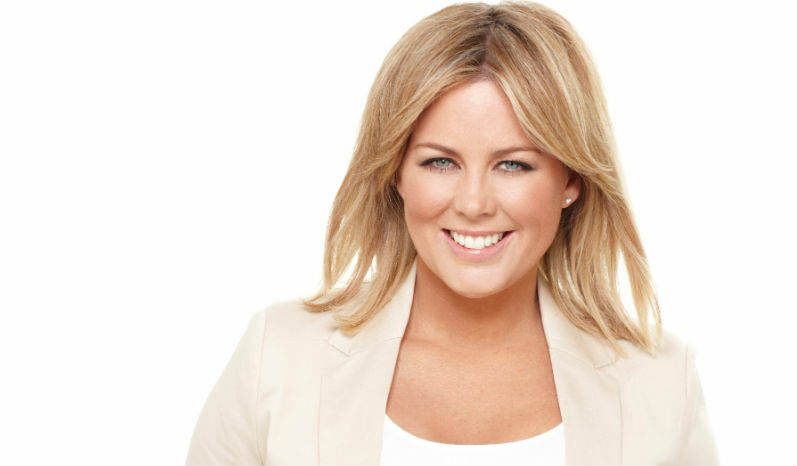 Samantha Armytage co-hosts Sunrise, 6am weekdays on Seven. Promoting Mental Health Awareness – How you can help!